All my ladies, put your hands up if wearing beautiful and comfortable lingerie makes you feel empowered. I sure know I love a gorgeous set to give me an extra confidence boost on a rainy day. 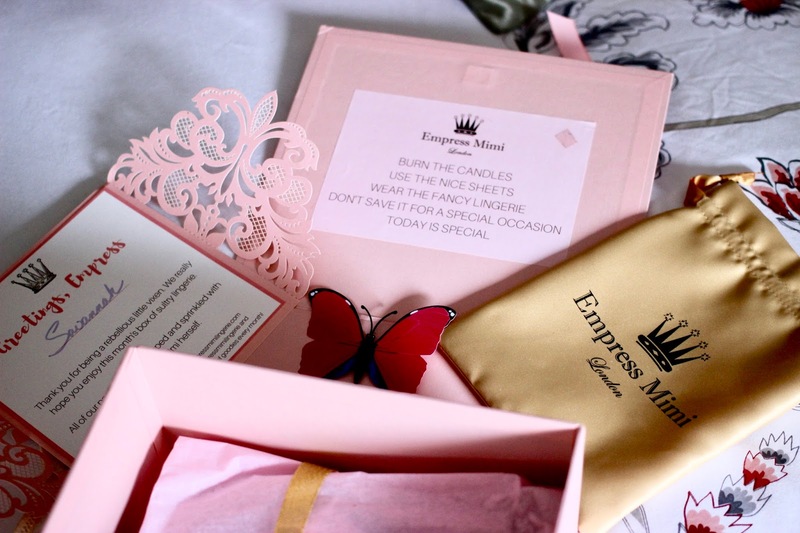 Empress Mimi deliver a monthly subscription-based box to cater to this self-love by sending out luxurious, yet affordable, lingerie. Sounds like music to your ears? Keep reading to get a unique discount code! A concept created by women for women, because wearing exclusive lingerie first and foremost is an act of self-love. 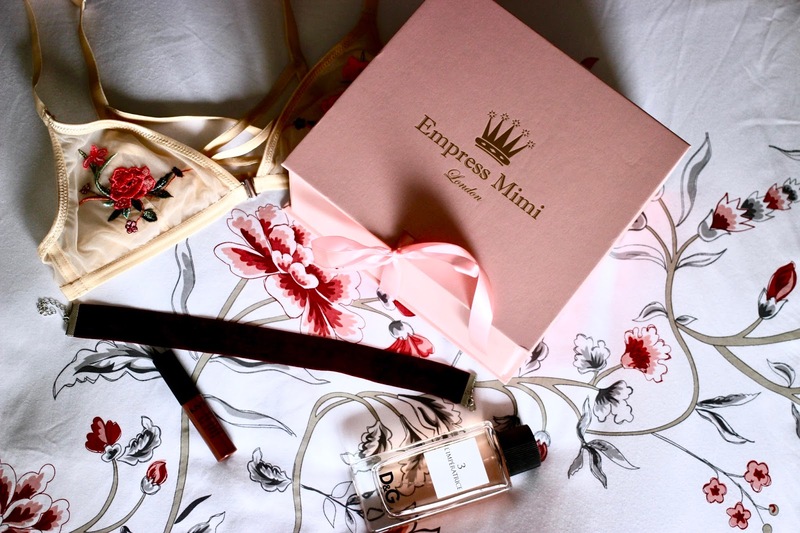 I personally adore how the @EmpressMimiLigerie compare this to getting your hair or nails done. Things we do to nourish our souls, so we can radiate positivity and confidence whilst feeling like a total #bosslady. *This post was written in collaboration with Empress Mimi. All opinions are my own. When my box arrived, it felt like Christmas came early this year. The luxurious packaging, the empowering quote and the gorgeous bodysuit made my entire week. I cannot wait to wear this soft, lacey number on my next night out! But until that special occasion has arrived, I might treat myself on a week day because like Empress Mimi say, everyday is special. As promised, for my beloved readers a unique discount code is available to save 15% off of your first box! Use the code JUSTSAVXNNAH15 and treat yourself AND other women. How? Because Empress Mimi are all about female empowerment, 10% of the proceeds will be donated to Project Girl Code to help less fortunate women get into coding. Empower yourself, and other women #EmpressesDoItBetter. That's awesome! Perfect gift for this coming Christmas!